The so-called Saturn return is a pseudoscientific concept that correlates the planet Saturn's orbit with profound personal life changes. Supposedly, as the ringed planet approaches the same place in its revolution it was when you were born — which takes approximately 29 years — you enter a new age of dramatic self-discovery. 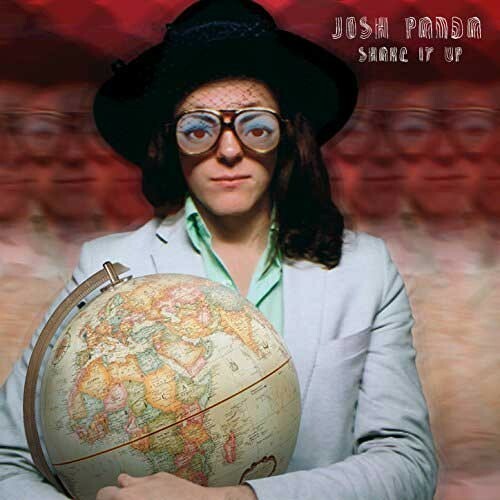 Four years ago, Burlington-based rocker Josh Panda was roughly 28 when he started recording his latest full-length album, Shake It Up. It seems he may have been in the throes of his own Saturn Return — if you believe in that kind of mumbo jumbo. As the title suggests, things were changing for Panda around that time, both stylistically and professionally. The rootsy Americana of his previous efforts, What We Have Sewn and Joshua Panda, have all but disappeared. Instead, he's replaced them with a soulful "AM Gold" sound with heavy Southern-rock influences. Shake It Up also marks his first turn as producer. A dozen Vermont musicians appear alongside him, including drummer Steve Hadeka, guitarist Lowell Thompson and expat keyboardist Leon Campos. Dan Davine engineered the album and plays multiple instruments. Throughout, Panda explores themes of change and perseverance. Titles such as "After the Smoke Clears," "She Couldn't Hold Me Down" and "Stick a Fork in Me" imply tumult, resilience and, ultimately, acceptance. The opening cut, "Scratch Me," instantly recalls the likes of Three Dog Night or the Allman Brothers Band. As a warm Wurlitzer coos and stinging guitar chords pop in syncopated rhythms, Panda grazes the rafters with his trademark high tenor. The architecture is retro, but the album's sparkling production is distinctly modern and doesn't feel concerned with mimicking the recording techniques of the early 1970s. "We've Come Too Far" is the record's No. 1 earworm. It starts with fuzzy drums and perky piano chords. The Wurlitzer returns with a jaunty counterpoint to Panda's verse. As the song reaches its climax, jubilant horns arrive just after an uplifting key change. Panda triumphantly declares, "We've come too far / To let it end / To let it stop now." "Angel" is a countrified slow jam that builds toward lilting swells of strings, for which Panda wrote the arrangements. It begins with reverb-soaked vocals and a solo piano line, recalling the tenderness of Elton John's "Tiny Dancer." The album's closer, "She Couldn't Hold Me Down," is gospel-inspired epic. It repeatedly feigns closure as bluesy piano chords cascade toward what feels like a finish, only to vamp and circle back around to where the song began. Shake It Up is Panda's definitive work. He's truly found his voice after years of wearing hats that didn't quite fit. The album arrives just at the right time, too. It's the perfect summer soundtrack for lazy evenings and country roads. Shake It Up is available on iTunes. Josh Panda plays on Friday, June 16, at Red Square in Burlington. Soundbites: They Shoot Vermonters, Don't They?